The Ethiopian authorities should immediately release seven leaders of the new Human Rights League (HRL) -- and several prominent members or officials of Oromo community organizations -- who were rounded up in the past three weeks in a government crackdown against alleged supporters of the Oromo Liberation Front (OLF), Amnesty International said today. "These people have been arrested simply for taking a public stand against human rights violations against members of the Oromo ethnic group or for their peaceful Oromo community activities" the organization said. "They are prisoners of conscience and should never have been arrested in the first place." Those arrested include the HRL's secretary general, Garoma Bekelle, who is a former journalist, Beyene Abdi, 72, a former judge and parliamentarian in Emperor Haile Selassie's time and for many years an official of the Mecha Tulema welfare association, Beyene Belissa, 50, a telecommunications manager who is an amputee and experiencing great hardship in prison, and Gabissa Lemessa, 55, an accountant at the Ethiopia office of the UK-based Save the Children Fund. Another HRL founding member, Addisu Beyene, general secretary of the Oromo Relief Association (ORA), a humanitarian agency closed down by the government in 1996, has also been detained. They have now been taken to court and remanded in custody but they have not so far been charged with any offence. The judge ordered on 24 November that they should be allowed access to their lawyers and families and medical care -- including a walking-stick for Beyere Belissa -- which was being refused. Police alleged that they were giving financial and other support to the Oromo Liberation Front (OLF) which is fighting the government in the Oromia region. The authorities now also blame the OLF for bombings in Addis Ababa and Harar earlier this year -- which the OLF has denied -- and have named three other men detained in that connection, who are held incommunicado without having been charged or taken to court. 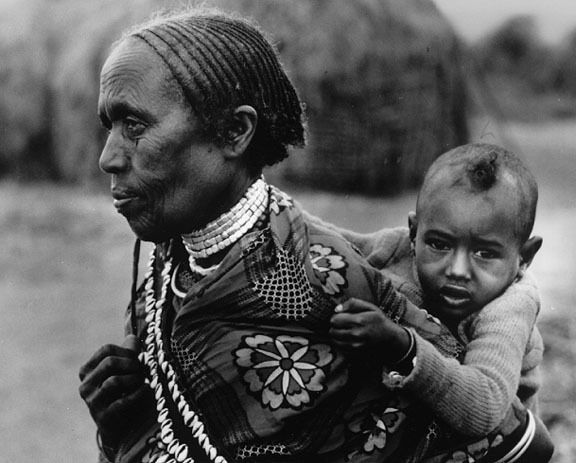 The Human Rights League was formed among the Oromo community in Addis Ababa in December 1996. Its stated objectives are to enlighten citizens on human rights, report on human rights violations and provide legal aid to victims of human rights violations. It has applied for official registration and was about to hold a workshop in Addis Ababa on human rights standard when these arrests took place. The Oromo Relief Association, whose funders include Christian Aid, Norwegian People's Aid, Comic Relief and formerly the European Commission, has gone to court to challenge its closure by the government and the seizure of all its assets. The Mecha Tulema Association, founded in the 1960s, is an officially-recognized Oromo welfare association. Amnesty International's appeals are part of its campaigning against widespread human rights violations in Ethiopia, which include large-scale arbitrary detentions, scores of "disappearances", torture and extrajudicial executions, especially against civilians in the areas of armed conflict. OromiaTimes is serving the Oromo Nation in Oromia and Diaspora with up-to-date News and Analysis on Oromia- and Horn of Africa- related issues. Send us your feedbacks to oromiatimes@gmail.com Visit our new site www.oromiatimes.multiply.com and enjoy audio and video musics from Oromia and Slideshows on oromo related issues. This is a Flickr badge showing public photos from Oromia Times. Make your own badge here. Earn your associate degree online today.